Biloxi – Officials who gathered Tuesday for an update on the return of Amtrak service to South Mississippi spoke as if passenger service were on the way. The committee working to restore service has been told by Congress to issue a report by Sept. 4, said Knox Ross of the Southern Rail Commission. During a meeting next week in Florida, Ross said, they will learn about the biggest obstacles and have a better idea of the capital costs and what it will cost to operate the trains. “We have the best chance we’ve ever had to get this done,” Knox said. The committee also is awaiting Federal Railroad Administration approval on grants to make improvements at train stations in South Mississippi. Every city that applied put up a substantial cash match, he said. “FRA was very impressed with that, I can assure you,” Knox said. The trains, which could run from Jacksonville, Fla., to New Orleans, would bring tourists to South Mississippi. But Monday’s traffic jams on Interstate 10 and neighboring roads caused by a truck fire showed trains also will be needed to move local people as the Gulf South grows. “The traveling public needs alternatives,” said U.S. Sen. Roger Wicker, R-Miss. “The projections are that the population of the Gulf Coast will grow by 10 million over the next 35 years,” he said. In order for train service to work, he said, it needs to be “a win” for Amtrak, CSX and the taxpayers. “You’ve got support from your Senate team,” Wicker said, and both he and U.S. Sen. Thad Cochran, R-Miss., continue to look for funding. 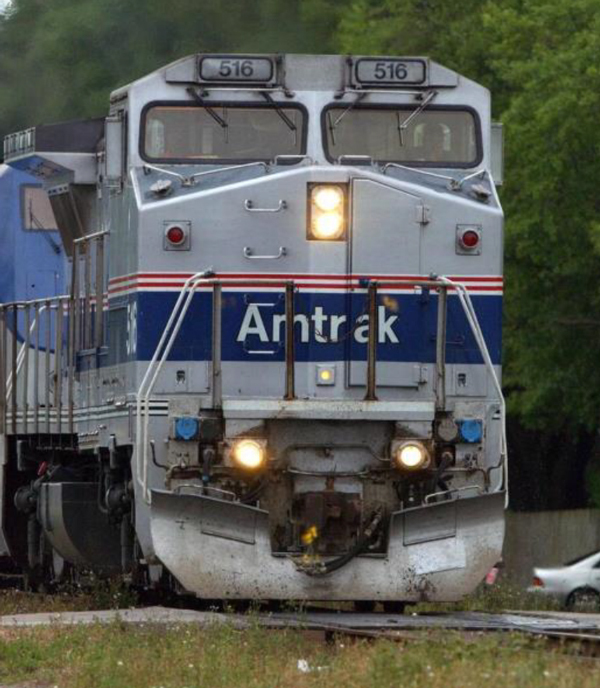 South Mississippi has a lot of work to do, but the concept of “One Coast” will go a long way to getting Amtrak service running again, local officials heard from the Gulf Regional Planning Commission and CSX. Part of that will be looking at the railroad crossings across South Mississippi and deciding which should be improved and which can be eliminated to improve safety. “Last year, there were 35 incidents at grade crossings in the state,” said Katie Chimeleaski of CSX. This year there have already been 15, she said, and Amtrak trains will travel at up to 80 miles per hour — much faster than freight trains. The railroad can’t force a crossing to close, she said, and local officials must approve all closings. “This effort could be a model of cooperation,” said Stephen Curlee of CSX. Pass Christian Mayor Chipper McDermott said although there are too many crossings in South Mississippi, the priority should be to “get the train first,” then decide which crossings need to close. Long Beach Mayor Billy Skellie said residents of his city won’t have a station. “They’re going to have to catch it in Gulfport,” he said. From there, they would be able to ride into New Orleans or other destinations, and the service would be a much-needed alternate to I-10 and U.S. 90. “We’re way behind on transportation,” Skellie said.